It is the opinion of NEC-SC that Turkey’s 1 November 2015 election will NOT result in the outright victory that President Recep Tyep Erdogan is seeking. If that proves to be the case, and in light of his hunger for unchecked presidential power, we predict that he will push for another election in the spring, probably on 1 March or 1 April 2016. In a previous article (see http://nec-se.webbar312.net/2015/09/28/nec-se-asks-who-speaks-for-islam-who-should-speak-for-islam/) we discussed Islam’s leadership void in the context of the problems it causes for Muslims. 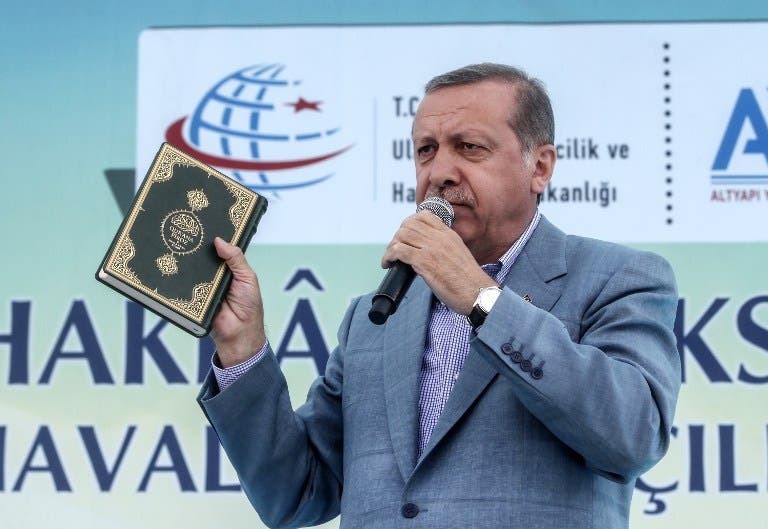 NEC-SC is still waiting to hear answers to the questions “who speaks for Islam?” and “who should speak for Islam?” Is it President’s Erdogan’s intention to provide answers through the mechanism of the upcoming elections? In consideration of the public’s diminishing patience for his strongman style of governance (i.e., as a caliph), along with the increasing weakness of the AK party’s ground game (all politics are local, even in Turkey) and the growing war weariness among Turks for the conflict with the PKK, we further predict that a spring election will deliver an AK party vote return of less than 35 percent, necessitating the formation of a coalition government. However, given Turkey’s history of coup d’etats, it is altogether possible that the 1 November elections may not take place. Russia’s entrance into the Syrian quagmire puts Turkey between a rock and a hard place. Russia’s stated goal is to attack and destroy ISIS, an objective that Western powers have failed to achieve. However, to date ISIS has not been Russia’s only target in Syria. With reports circulating of an imminent ground offensive using Iranian troops supported by Russian warplanes and probably Russian artillery, Turkey is in an uncomfortable position. Turkey has played an active role in creating the quicksand bog that is modern Syria. For example, last week President Erdogan identified the Kurdish Democratic Union Party (Partiya Yekîtiya Demokrat, or PYD) as a terrorist threat. The obvious problem with this is that the PYD is supported by the United States and currently fields a reasonably effective military force for battling ISIS. Which means that if Turkey takes military action against the PYD, as now seems to be its intention, it will risk angering the U.S. Which will only serve to further broaden and intensify the destructiveness of a conflict that is tearing the region apart. Readers of NEC-SE recall that President Erdogan went into the national elections on 7 June with ambitions of becoming an elected strongman with expanded presidential powers and authority over prosecutors, judges, and legislative actions. What he woke up to on 8 June was a major loss at the polls for his Justice and Development Party (Adalet ve Kalk?nma Partisi, or AK). What this entailed was the AK losing control of parliament for the first time in 13 years, the formation of a coalition government and, most stinging of all, an end to President Erdogan’s dream of expanded presidential powers. If a coup d’etat does takes place in Turkey as feared by President Erdagon, NEC-SE believes that the Islamists in Turkey will go into hiding as they did in Egypt. The fate of the Islamist parties in Turkey will be similar to the fate of those in Egypt after General el-Sisi took power. In economic terms, the past 3 months have been just short of disastrous for Turkey. Foreign internal investment dropped in the second half of 2015, affecting an already souring housing market. Despite efforts by the government’s travel bureau to increase tourism to Istanbul from the Gulf States, overall tourism revenues fell 16 percent this year compared to last year. It is interesting to note that Russia, due to its geographic proximity with Turkey, has been a major player in Turkey’s tourism industry. However, due to economic sanctions against Russia the loss of this source of income for Turkey’s tourism sector cannot be made up anywhere else. Adding to Turkey’s tourism industry woes is the presence of some 2 million Syrian refugees crowding the beautiful beaches of the Aegean coast in hopes of finding boats to transport them across the narrow waters to the nearby islands of the Greek Dodecanese chain. According to one report the number of Syrian refugees in the Aegean coastal region is almost equal to Turkish population in 10 Turkish cities. Overall, the Turkish economy is faltering. Currently the Turkish Lira is 2.995 to the U.S. Dollar, having declined over 30 percent in the past two years. Not unexpectedly, the OECD chief has informed President Erdogan that Turkey requires financial structure reforms. At the same time, inflation has risen to around 8 percent (in September), and unemployment has reached 35 percent. Simply put, Turkey is a country both at odds with itself and with its neighbors–a country on the brink of dissolution. If Turkey does split apart after the elections on 1 November 2015 the entire region will be thrown into chaos, with a consequent increase in political upheaval and violence. Major powers such as the U.S. and Russia may try to calm the situation, but the best bet for restoring calm lies with the Turkish military. Unfortunately, Turkish military involvement will probably result in the end of democray in Turkey, at least for the forseable future. Significantly in this regard, there are reports that have appeared in today’s twitter links indicating that President Erdogan’s and his family are preparing their escape from Turkey. The AK party came to power with the intent of installing itself as the leader of Islam. In doing so they sought to revive the caliphate, i.e. an Islamic state headed by a caliph who is to be regarded as the legitimate successor of Muhammed, answerable only to the prophet. In the Turkish scheme for reviving the caliphate President Erdogan, as the leader of the AK, was to become the caliph in fact and in name. But, as told, the AK failed to gain the electoral victory needed to put President Erdogan on the path to revive the caliphate and establish him as caliph.